Geological map of the UK showing the delineation of rock strata in the West Midlands (centre to right), part of Wales (left) and part of the South West (bottom left). Fig. 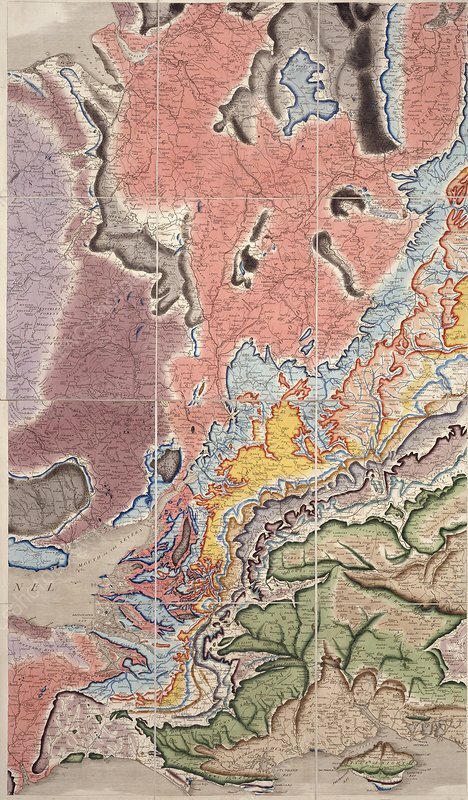 Delineation of Strata of England and Wales (1815) by the British geologist William Smith (1769-1839).